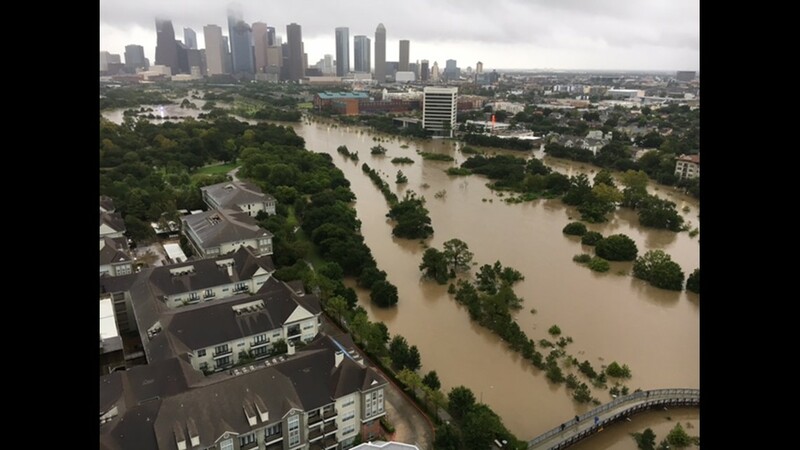 As the aftermath of Hurricane Harvey continues to impact the Houston area, shelters are opening up for those being forced out of their homes due to flooding. Dozens of shelters been set up in Harris County, the Red Cross is trying to consolidate them to NRG Center and the George R. Brown Convention Center. To sign up to volunteer, go to RedCross.org. Please Note: It is important that you call the shelters before arriving to see if they are at capacity before arriving. Some shelters on this list have been closed. NRG Center at Loop 610 & Kirby will open at 10 p.m. Tuesday. Holds 10,000 people. Katy ISD opened Morton Ranch HS and Cinco Ranch HS as shelters. - There are now at least 10,000 evacuees at the George R. Brown Convention Center in downtown Houston. Officials are moving some of those people to the Toyota Center. The Red Cross is also coordinating volunteers. At the GRB, volunteers say they are in need of bedding, towels, wheelchairs, walkers, and toiletries. The only clothing needed is plus size clothing. - An unofficial community outreach form has been set up to connect smaller shelter and support efforts to volunteers and those willing to donate time or supplies. Anyone who represents a shelter, business or location that needs support, a volunteer and supplies request form has been created to mobilize local efforts to go directly to facilities in need. UPDATE, Aug. 28: Paul Revere Middle School, which was serving as a shelter, has been ordered to close because the Red Cross is unable to deliver supplies. Check Red Cross Shelters for updated information. Only gather these things if it is safe to do so, otherwise YOUR SAFETY IS A PRIORITY.